About 400 students and athletes came together to do 24 pushups in remembrance Robert Grays. It has been one year since cornerback and general business sophomore Robert Grays died on Sept. 19 from sustaining a C1-C2 spinal injury. To honor Grays, about 400 students and athletes participated in doing 24 push. Bill Maskill, head football coach, said he was satisfied with the turnout. There was also a balloon release. “It was a good event you know? And it was generated by our student athletes, our football players. 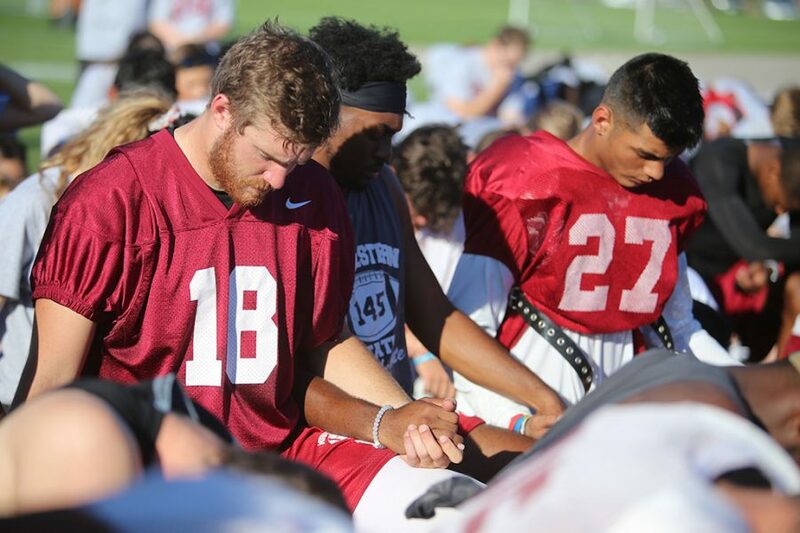 24 strong is the week, everybody [in the athletic department] is doing a community service, our football team wanted to do something that they could recognize that would relate to them. So, they put it [the idea] in front of the team the other day that ‘How about if we invited by tweet by handing out pieces of paper inviting the student body and faculty to come out and do 24 push ups with us after practice,” Maskill said.